Alder Graduate School of Education (Alder) is accredited by the WASC Senior College and University Commission (WSCUC), 985 Atlantic Avenue, Suite 100, Alameda, CA 94501, 510.748.9001. The WSCUC team report is available here, and the letter notifying Alder of the Commission’s action to grant Alder Initial Accreditation is available here. The Gladys L. Benerd School of Education at the University of Pacific (Pacific) is proud to partner with Alder’s teacher residency program. Since 2010 (while Alder is pursuing accreditation from the California Commission on Teacher Credentialing) California residents who complete the academic requirements of the program have received a Master of Arts in Education from Pacific with a concentration in Teaching or Special Education. Located in Stockton, Pacific has been chartered since 1851 and is the oldest chartered university in California. Pacific is accredited by WASC Senior College and University Commission and the California Commission on Teacher Credentialing. Alder’s Memphis students receive a Teaching Credential and Master of Arts in Teaching degree from Relay Graduate School of Education (Relay). Relay is institutionally accredited by the Middle States Commission on Higher Education (MSCHE) and also has accreditation from the National Council for the Accreditation of Teacher Education (NCATE). Alder Graduate School of Education (Alder) is seeking initial institutional approval by the California Commission on Teacher Credentialing. This approval would allow Alder to sponsor educator preparation programs in California. Interested parties are invited to submit comments to the Commission at input@ctc.ca.gov . Please note that comments must address substantive matters related to the quality of professional education programs offered, and should specify the party’s relationship to the institution (i.e., graduate, present or former faculty member, employer of graduates). All identifying information will remain confidential.  The Gladys L. Benerd School of Education at the University of Pacific (Pacific) is proud to partner with Alder’s teacher residency program and is the official program sponsor approved by the Commission on teacher Credentialing at this time. Since 2010 (while Alder is pursuing accreditation from the Commission) California residents who complete the academic requirements of the program have received a Master of Arts in Education from Pacific with a concentration in Teaching or Special Education and a Teaching Credential. Located in Stockton, Pacific has been chartered since 1851 and is the oldest chartered university in California. Pacific is accredited by the WASC Senior College and University Commission and the California Commission on Teacher Credentialing. California’s Bureau for Private Postsecondary Education (BPPE) awarded Alder Graduate School of Education (Alder, formerly Aspire University) a provisional approval to operate no more than two degree programs effective June 15, 2016, with an expiration date of June 15, 2021. The institution’s approval to operate is contingent upon it being subsequently accredited. BPPE has provided this Approved Educational Program List to inform prospective students of Alder’s provisional approval to operate. The state of California and BPPE require that institutions post an annual Student Performance Fact Sheet (SPFS). Until it is accredited and conferring degrees, Alder’s SPFS will not include any students, as they show up on University of the Pacific’s site at this link. Alder’s most recent Annual Report to BPPE is available here.